It was so much fun to take a ride in a Chevy Volt with Watson Collins of Northeast Utilities. 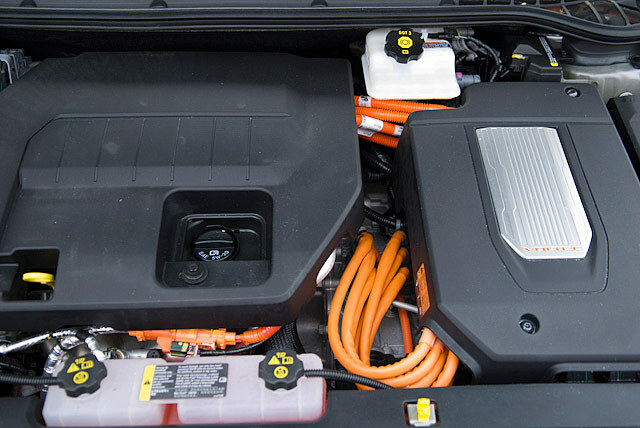 A Chevy Volt has a gas generator (left) that creates electricity to run the electric motor (right) when car's rechargeable battery is depleted. 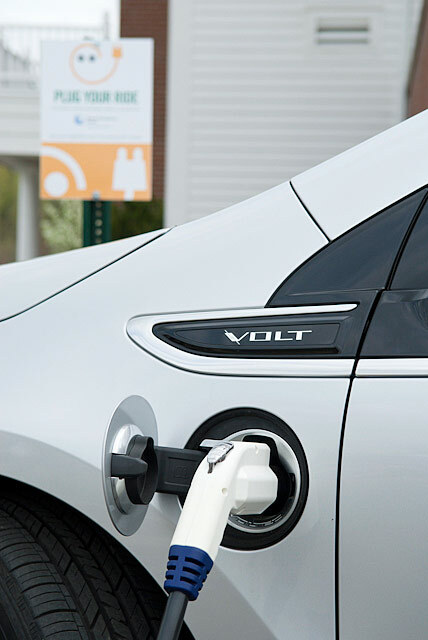 Northeast Utilities - Western Massachusetts Electric Company has begun installing plug-in electric vehicle (EV) charging stations in order to study how the recharging affects the company's distribution of electricity. 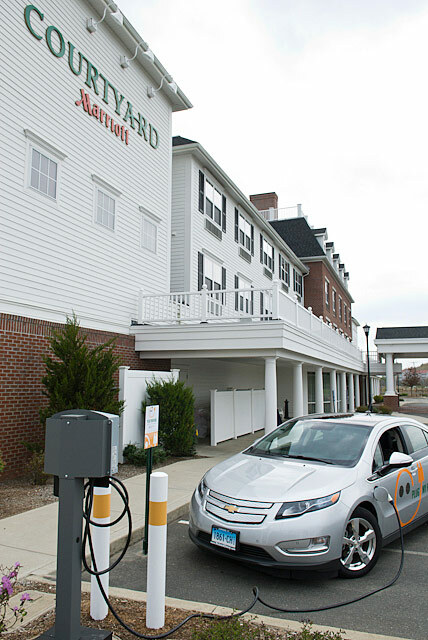 Officials from the utility company had a Chevy Volt dual gas - electric car on hand to demonstrate how the charging system works at a charging station at the Courtyard Marriott in Hadley, Massachusetts. The hotel sees the charging station as a way of providing "cutting edge" services to its guests. 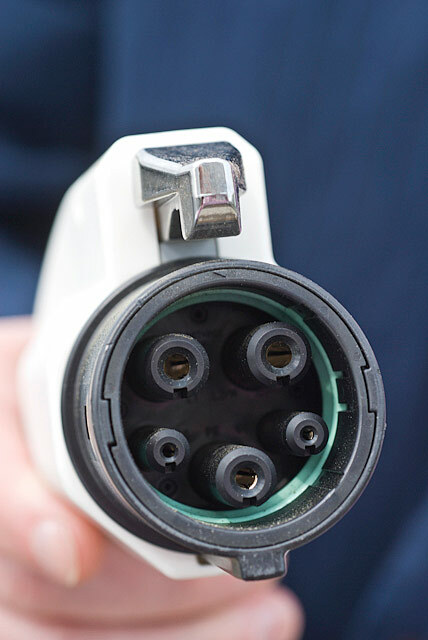 Inserting this plug into an Electric Vehicle connects the vehicle to a charging station. Responding to the green marketing claims of the Chevy Volt and Nissan Leaf manufacturers, a friend's elementary school daughter pointed out that generating the electricity to charge the vehicles still creates pollution. Her solution went something like this: Perhaps the old mills along rivers could generate electricity for the cars. These still images and more are available for licensing at The Image Works.